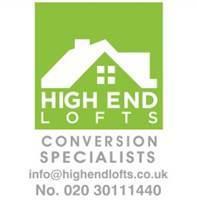 High End Lofts Ltd - Builder based in London, Greater London. Has your family grown and you don't want your children to move schools? Do you want a bigger house without having to pay a fortune to relocate? Are you looking to start a business from home and you don't think that you have the space? Whatever the reason, whatever your plans, High End Lofts can help you to get the most from your home. Our team of expert tradespeople have all the knowledge and skills to create amazing spaces for you and your family to enjoy for years to come. High End Lofts Ltd is based in Chingford, North East London and operates throughout East and North London and the surrounding areas. We have well over 15 year's experience working within the loft construction industry and our teams have completed hundreds of projects during that time. We look forward to hearing from you and discussing your project with you.